You’re hungover, grubby, skin indented from sleeping in your fave sequin top. The antidote: The psychedelic women’s circle! The circle is a loving embrace of all that it means to be a woman. Come as you are, with all the love and pain, all your light and dark. The women’s circle has always been a safe haven for me and the healing power of women coming together has never ceased to amaze. After an hour of sharing, gazing and breaking open our minds, the circle culminates in the most loving cuddle puddle. Bathing each other in sound, chocolate and the most deliciously decadent caresses is the best way to emerge feeling brand new. It’s no wonder that ritual and ceremony are making a welcome comeback to our hectic lives. 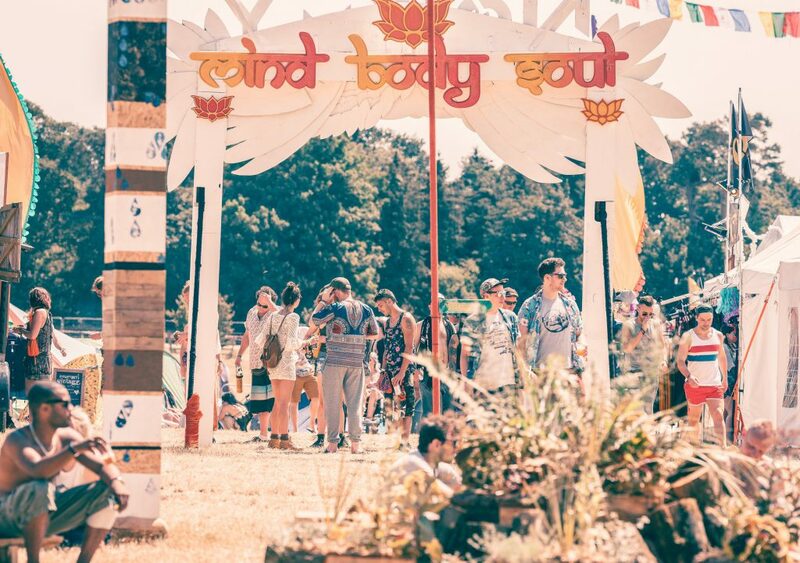 Taking the opportunity to unify our mind, bodies and souls is incredibly healing, and Noisily is the perfect place to foster that. Here’s to spying on the men’s circle next year! Walking past the Mind stage towards the woods, I would hover to listen to what was happening. Every time I stopped, something mind bending would immediately grab my attention. Whether a bong from a singing bowl, a short history of lucid dreaming, a thought from alternative political party, or hearing that Jesus himself could have been a mushroom, every soundbite that stopped me in my tracks was a new idea I wanted to explore. The enthusiasm and energy which permeated the Mind stage was not limited to the speakers. Participants were incredibly active in all the events. Workshops generated a volcanic volume of ideas and engagement on a wide range of topics, one even culminating in a loving chant, “hug the baddies too!”. A reminder that our desire to topple oppressive power structures, and our understanding that we are all flawed humans needing love, are not mutually exclusive. Open hearted and intellectually charged, it’s evident that the Noisily community thirsts to imagine a better future for all. They thrive in a space that enables the co creation of solutions and ceremony for the wellbeing of all humanity. 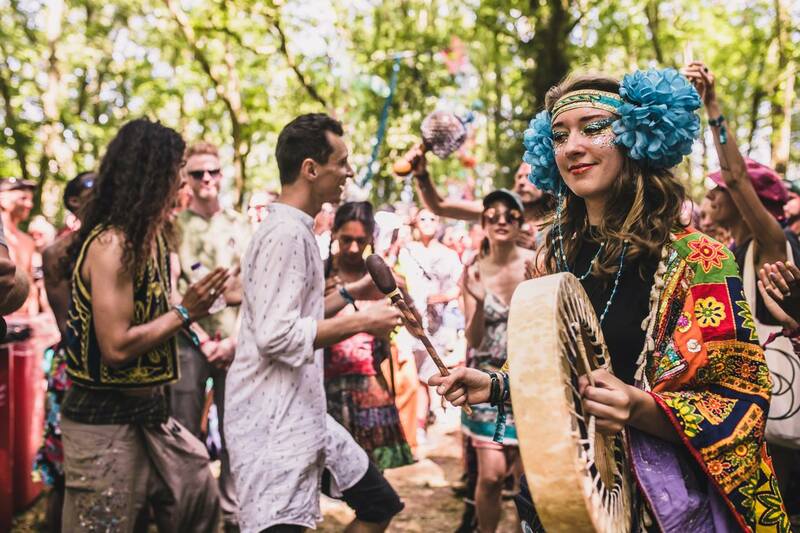 The Noisily community is full of engaged global citizens who once a year have gathered to create a beautiful heart expanding party and now also prove willing and ready to catalyse a global engagement in important conversations for the future of our planet. Long may it continue. The challenge, as ever, is to take a weekend’s inspiration and channel that into tangible change in our everyday lives. 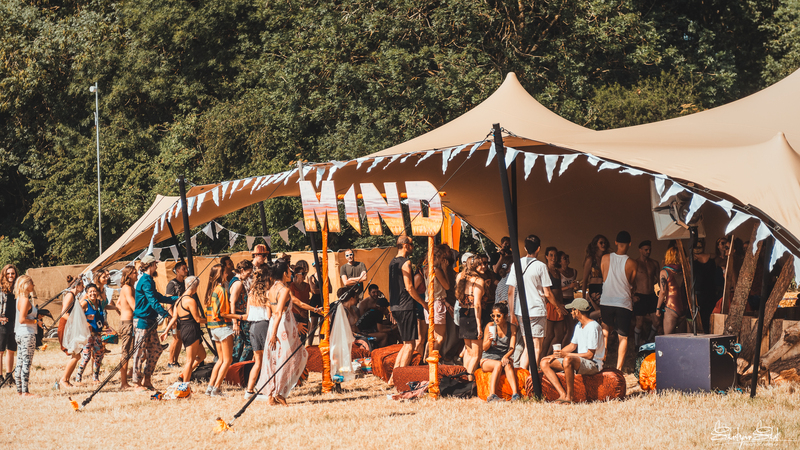 As we were being gradually beamed awake on a beautiful sunny Saturday at Noisily, some of us were welcomed into the Body Tent by Andy Raingold & his team at Change in Nature to experience a multi-sensorial Dance of Life. Based on 5 Rythms, where we attune, connect & feel through movement & breath, this session took us through the 4.6 billion year history evolution. After some initial breathing work, we were blindfolded & taken on the most magical, multisensorial journey through life on earth. We started by embodying interstellar dust & clouds, to bacteria floating in the ocean, dinosaurs, fish in the oceans, birds flying through the air, animals, right through to reaching humankind in the last second of the 46 minute dance, a timely & humbling reminder of how much of a bigger story we are part of. 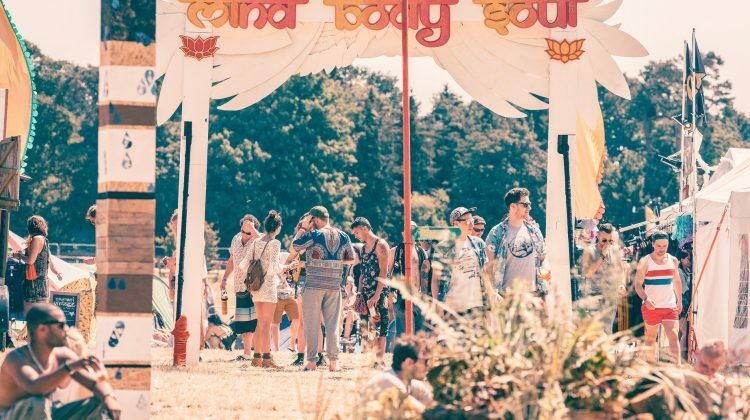 Gently coming out of our dreamy state was a whole-heartedly positive & empowering experience – with an overwhelming sense of gratitude of being alive & present in the magical woods of Noisily, ready to embrace all the adventures & connections ahead. Entering the sanctum of Tash & Alex’s tent in the Therapists’ area at Mind Body Soul, you knew you were in for something special. A massage table set up in the centre with a a 32” gong & array of percussive instruments set up at the head. Tash & Alex work together tune into your energy & tailor each session to your specific needs. After some initial discussions, the treatment started with breathwork & some gentle percussion, becoming present in the body & awakening the fascia. The pair then work together seamlessly to create a fully immersive experience – with each sound immaculately paired with the point & force of the massage, mind & body are taken on a deeply immersive & attuning journey. I came out feeling not only physically free & connected, but calm & light, & most certainly ready for a dance! Tash & Alex will be back at Noisily next year offering bigger group sessions as well as individual. Adam Wilder – Togetherness UK. Holding the UV underwear dance party was a real highlight for me. Encouraging a group of wild ones into stripping to their underwear, covering each other with tribal UV paints and sweating together to the sounds of DJ Bobby Lost. Shouting at them in a German accent, “this isn’t a dance party it’s a shamanic ritual!” When the music had to go off we had a very good spooning session before heading down into the woods to continue the party. Also power ballad aerobics. Pumping 80s tracks, Lycra. Laughing, crying, sweating ???? yes. Mikey Matania: Psychedelics, Meet Meditation. Meditation, Meet Psychedelics. I found this entire talk to be incredibly engaging, the importance of connecting with your deeper self through a combination of daily practice interspersed with earth shattering psychedelic experiences really resonated with me. Mikey’s speaks with a clarity I’ve rarely heard and I found myself being transported by his words into a kind of deep meditative state, leaving both enlightened and feeling incredibly Zen! I’m so glad that we got a chance to do a proper opening ceremony for the event this year. What started as just a party has grown a spiritual element which I think is as important as the music and entertainment, it allows the festival to be a tool of the personal and social change so needed in the world today. Having an opening ceremony and giving a space to honour the land and the people who made the event possible was a really important symbolic part of this for me.